How Far is India Builders - Chaitali? If you are looking to find a premium abode in Anna Nagar, your chances of finding one is very limited. Being one of the posh localities in Chennai, it is not easy to find an apartment at this point. However, you need not lose hope! The Chaitali by India Builders offers you an opportunity to settle down at the heart of Anna Nagar. Chaitali is a premium residential apartment that comes with 4 architecturally designed 3-bedroom apartments each measuring 1565 sq ft. Spread across stilt + 2 floors, the premium apartment offers all that is needed for you get maximum privacy at one of the best localities of Chennai. Each apartment has spacious rooms, world class amenities, sufficient ventilation, modern flooring and high quality fittings to suit your lifestyle. 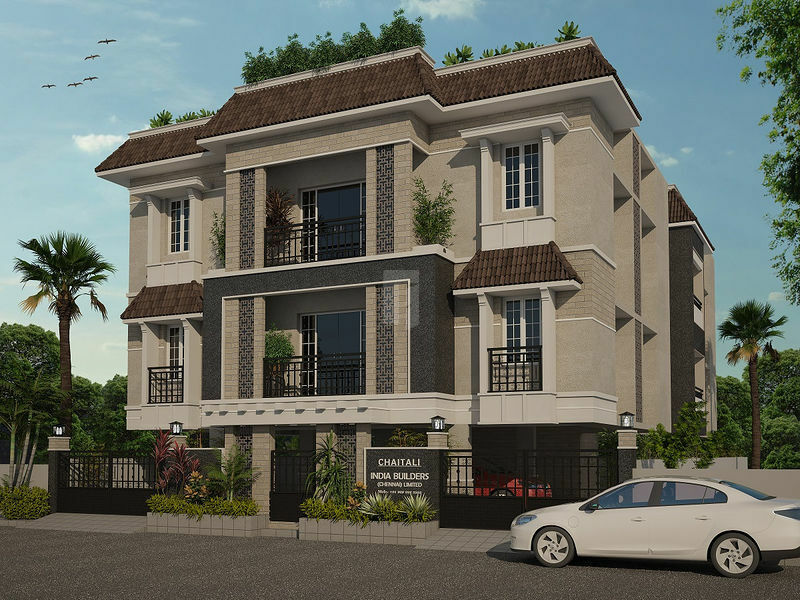 Each apartment at Chaitali is meticulously designed to meet your elite lifestyle demands and preferences. The design is highly functional and futuristic to ensure most of your future needs are taken care of. There is no need to worry about whether the apartment is vaastu complaint or look for a vaastu consultant to get an opinion. 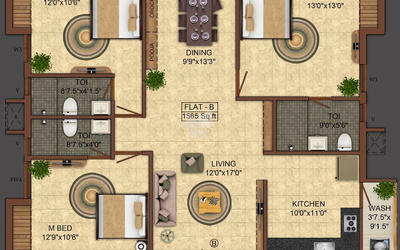 The apartments are built in accordance with time tested Vaastu principles. Chaitali is a completely secured place. Top class security arrangements are put in place to ensure you lead a hassle-free life with your loved ones. CCTV cameras are fixed at all key locations to ensure you don't get any unwanted intruders entering the premises.